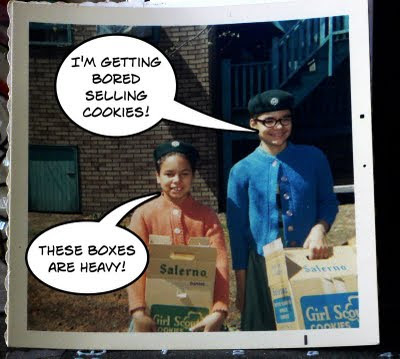 My sister, at left, and I may have complained about the yearly cookie sale competition during our Girl Scout years, but we loved being Scouts. It certainly wasn't the uniforms, but those green berets were way cool! 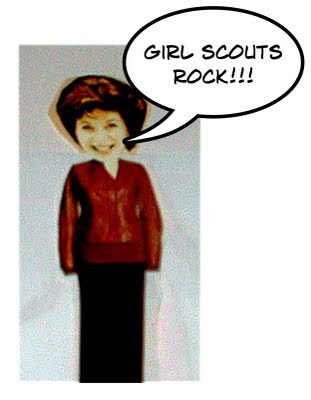 Barbara was a Brownie, too! First Lady Michelle Obama is the Honorary President of the Girl Scouts, a worldwide organization which fosters positive support for all girls in their physical, psychological and emotional development. Girl Scouts programs focus on developing awareness and leadership and activism on many issues including body-image, the environment, career development and engages their exploration of self-esteem as it relates to the many challenges in their everyday lives. For more information, visit www.girlscouts.org and find out about Uniquely Me, just one of Girl Scouts' incredible initiatives for individual reflection and growth.